Today we continue our look at the rich and diverse career of Pedro Almodóvar. You can find the first instalment of our Auteurs piece on the Spanish director here. Having been called everything from an enfant terrible to a male feminist for much of the 1980s and early 1990s, Almodóvar firmly established himself as one of the top filmmakers in international cinema by time the mid-90s rolled around. The downside to this success was that Almodóvar now faced his share of backlash from critics. Almodóvar’s struggles to deal with the harsh criticism hurled upon him, along with his feelings of doubt as an artist, became the basis for his eleventh feature film, The Flower of My Secret. The story is about a novelist, Leos Macias (Marisa Paredes), whose personal life and work starts to unravel. As the film was a personal one for Almodóvar, he stripped away much of the humor displayed in his previous works and focused his script on the ways artistic pursuits are compromised. The Flower of My Secret also marked a major change amongst Almodóvar’s collaborators behind the scenes. Emerging composer Alberto Iglesias and cinematographer Affonso Beato became two key figures for him during this new period. The film premiered in Spain in 1995 where, despite receiving 7 Goya nominations, was not initially well-received by critics. Despite this, The Flower of My Secret rejuvenated Almodóvar’s desire to make more mature films. Inspired by this new direction he was taking, Pedro Almodóvar decided to take a break from his original projects and try his hand at an adapted work. Based on Ruth Rendall’s novel, Live Flesh focuses on a man who is sent to prison after crippling a police officer and seeks redemption years later when he is released. The story intrigued Almodóvar as it gave him a chance to work within the psychological thriller genre. Tackling themes of fate and consequences, Pedro Almodóvar used the film to work through his own feelings about the Franco period of Spain. Setting the film in Spain, rather than in Britain like in the text, Almodóvar decided to cast actors he hadn’t worked with much prior. 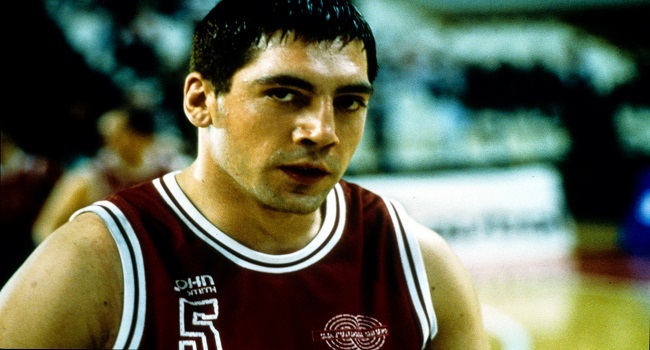 Rising star Javier Bardem, who had a small role in High Heels, played the crippled detective David. Liberto Rabal secured the role of Victor, the criminal seeking redemption. Italian actress Francesca Neri rounded out the cast in the part of a former junkie who sparks a complicated love triangle with David and Victor. Live Flesh also marked the first of several appearances that Penélope Cruz made in Almodóvar’s film. Live Flesh premiered at the New York Film Festival in 1997 where it got an amazing reception from audiences and critics. The excellent reviews restored Almodovar’s stature amongst critics. Though it did modestly well at the international box office, it was clear that Almodóvar had won over many of those who had doubted him years earlier. Among the different story ideas Pedro Almodóvar had originally planned to incorporate into The Flower of My Secret, one in particular became the basis for his next film All About My Mother. The premise revolves around a woman, Manuela (Cecilia Roth), who loses her teenage son, Esteban (Eloy Azorín), in a tragic accident. Filled with grief Manuela decides to track down Esteban’s transgender father, Lola (Toni Cantó), and notify him about the death of the son he never knew he had. Along the way she encounters an old friend, Agrado (Antonia San Juan), and meets up with a pregnant nun, Rosa (Penélope Cruz). Together they form a life that has unexpected ramifications on them all. The multi-layered story explores the human need to find hope even in the worst circumstances. Almodóvar shot parts of the film in Barcelona and used lush colors to emphasize the richness of the city. 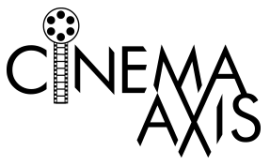 His love for American cinema was clearly evident as one of the film’s key scenes, where Manuela watches her son die, was inspired by John Cassavetes’ 1977 film Opening Night. Even the film’s title is a nod to All About Eve, which Manuela and her son are shown watching in the film. 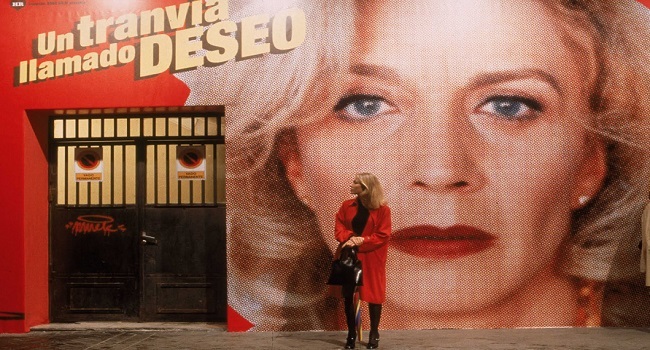 Considering the amount of cinematic references in the film, it came as no surprise that Almodóvar dedicated the film to his mother and three of his favorite actresses: Gena Rowlands, Bette Davis, and Romy Schneider. All About My Mother was a smash hit at the Cannes Film Festival where Pedro Almodóvar won both the Best Director and the Ecumenical Jury prizes. The film garnered a strong critical reception and grossed over $8 million in its limited release. All About My Mother went on to win numerous awards, including 6 Goya, and critics’ prizes. However, the film’s crowning achievement came at the 72nd Academy Awards where, in the show’s finest moment, Penélope Cruz and Antonio Banderas presented Almodóvar with his very first Oscar for Best Foreign-Language Film. After receiving so many accolades for All About My Mother, Almodóvar decided to take a break from filmmaking to focus on his production company El Deseo. In 2001, the company released The Devil’s Backbone by a relatively unknown Mexican director named Guillermo del Toro. The company also helped to launch the career of director Isabel Coixet, whose 2003 film My Life Without Me was a major hit with critics. It was during this break where Almodóvar got the idea for Talk to Her, a tale following two different men (Javier Cámara, Darío Grandinetti) who are both in love with comatose women (Leonor Watling, Rosario Flores). Utilizing the Spanish countryside, and even his own house for one party scene, Almodóvar took pleasure in the freedom of not having to rely on city landscapes. The serene backdrop added to the vibrant colors and overall beauty of the film. It also lent itself well to the intimate friendship that grows between his two male leads, Benigno (Cámara) and Marco (Grandinetti), over the course of the film. Almodóvar brought a rare sensitivity to his male leads that went against the typical macho archetypes seen in most films. There was an overall confidence on display in the film. Everything from his use of interpretive dance to the way he incorporated silent film showed that Almodóvar was truly in his stride as a master filmmaker. Debuting in Spain in April of 2002, Talk to Her received much praise when it had its international premiere at the Telluride Film Festival in September of that year. Upon its theatrical release, the film exceeded expectations by taking in over $9 million at the box office. The unanimous praise for Talk to Her resulted in Pedro Almodóvar winning his second Oscar, this time for Best Original Screenplay, as well as being nominated in the Best Director category. With two Oscars now on his mantle, Almodóvar opted to revive a project whose genesis dated back to the production of Law of Desire. Inspired by his childhood days in a Catholic boarding school, Bad Education is a multi-layered drama that blends the dark elements of his mid-80s films with the sensitive aspects of his more recent works. The Hitchcockian style suspense follows two childhood friends who reunite in the early 1980s. One of them, Enrique (Fele Martínez), is now a filmmaker and the other, Ángel (Gael García Bernal), is a writer eager to star in the film he wrote. Being an Almodóvar film, Bad Education is more than a simple tale of friendship. The story also touches on issues such as drug abuse, transgendered sexuality, and Catholic priests who abuse their power. Almodóvar infuses a lot of meta-fiction into the story which helps to blur the lines between fact and fiction for the characters in the film. It also added to the intricate mystery that is slowly unravels in the film. Since Gael García Bernal plays multiple roles in the film, the audience is forced to question whether or not Ángel is truly the individual he claims to be. The film premiered in March of 2004 in Spain before playing the Cannes Film Festival two months later. Almodóvar dedicated Bad Education to his country as they citizens were still grieving from the horrific Madrid train bombings that occurred earlier that year. Bad Education did modestly upon its release despite being slapped with an NC-17 rating for some of its content. The surprise appearance of Carmen Maura at the Bad Education screening during the 2004 Cannes Film Festival led to rumours about a possible reunion between her and Almodóvar. Fans were delighted to discover the rumours were indeed true. Set in Pedro Almodóvar’s childhood home town of La Mancha, Volver focuses on two sisters, Raimunda (Penélope Cruz) and Sole (Lola Dueñas), attempting to deal with the family secrets surrounding the death of their parents three years earlier. Things get complicated for each sister when Sole discovers that the ghost of her mother Irene (Maura) has stowed away in the trunk of her car. Meanwhile, Raimunda and her daughter Paula (Yohana Cobo) struggle to cover up the death of Paula’s father Paco (Antonio de la Torre), who attempted to molest her. The film was very personal to Almodóvar as he used elements of his own childhood to shape parts of the story. Many of the characters in the film were variations of people he knew from his small town. Using a colorful backdrop, the film tackled many complex themes such as sexual abuse, grief, secrets and death. In plotting the film’s structure Almodóvar found inspiration from noir films such as Chinatown. Volver received a rapturous reception when it played the Cannes Film Festival in 2006. At the festival the film Almodóvar won the Best Screenplay prize while the entire female ensemble won the Best Actress prize. In the fall of that year, the New York Film Festival showcased the film as part of a Pedro Almodóvar retrospective. Thanks to her wonderful work in the film, Penélope Cruz received her first Oscar nomination in the Best Actress category. Volver went on to garner several critical accolades and was a massive worldwide success. With a body of work that places him amongst the greats in cinema, Pedro Almodóvar took some time off to once again produce projects for other filmmakers. It was while on vacation that he was inspired to write the multi-layered thriller Broken Embraces. The plot centered on a blind novelist, Henry Caine (Lluís Homar), who uses his works to recount both his former life as a filmmaker, and the tragedy that took his sight. A key figure in Caine’s past is the beautiful Lena (Penélope Cruz), an aspiring actress who gets embroiled in a love triangle with Caine and a paranoid millionaire, Ernesto (José Luis Gómez). With Jose Luis Alcaine unable to take part in the production, Almodóvar hired renowned Mexican cinematographer Rodrigo Prieto to shoot the film. Prieto’s approach to shading and shadows helped to give the various time periods within Broken Embraces a very distinctive look. This was crucial as Almodóvar’s narrative jumps back-and-forth between the early 1990s and the late 2000s. To accentuate the sense of tragedy and jealousy, Almodóvar infused music, ranging from Cat Power to Alberto Iglesias, that nicely captured the dark emotional tone. The film played at the Cannes Film Festival in 2009 to great reviews. The European box office was also very variable to the film as well. Though Broken Embraces didn’t pick up the same level of love upon its U.S. release later that fall, the lukewarm reception did little to dampen Pedro Almodóvar’s stature internationally. Having discovered Thierry Jonquet’s novel Tarantula in the early 2000s, Almodóvar expressed interest in adapting the novel into a film. The book reminded the Spanish director of Georges Franju’s 1960 horror film Eyes Without a Face. Inspired to make his own horror film, The Skin I Live In revolves around a plastic surgeon, Robert (Antonio Banderas), who becomes obsessed with creating skin that can withstand burns. Haunted by past tragedies, Robert believes that the key to his research is the patient who he mysteriously keeps prisoner in his mansion. The film marked a long-awaited reunion between Almodóvar and Antonio Banderas. After spending much of 1990s and 2000s working in the U.S., with varying degrees of success, Banderas was eager to work with Almodóvar again. While Penélope Cruz was initially slated for the role of the captive patient Vera Cruz, the Oscar nominated actress was unable to take part since she was pregnant with her first child. As a result, Elena Anaya, who had appeared in Talk to Her, was cast in the key part. Banderas’ and Anaya’s strong performances allowed Almodóvar to play with conventional notions of what truly makes a person either a hero and a villain. This is especially evident in the jaw-dropping third act. The Skin I Live In made its premiere at the 2011 Cannes Film Festival to a rousing reception. The rave reviews spread across the globe as cinephiles everywhere were taken by the film. Proving once again that he can master any genre, Almodóvar showed his critics why he has been dubbed one of the statesmen of modern day cinema. After a long period of dramatic and serious feature films, Almodóvar decided to lighten things up a bit with a comedy. Set within the airline industry, I’m So Excited! focuses on an airplane whose first-class passengers, pilots, and trio of gay stewards all try to deal with the fact that landing gears are malfunctioning. During the ordeal they talk about love, themselves, and a plethora of things while getting drunk on Valencia cocktails. With its English title taken from a song by the Pointer Sisters, Almodóvar openly embraced the campy humor that was prominent in his early works. The film’s cast was a mixture of Almodóvar regulars such as Cecilia Roth, Javier Cámara, and Lola Dueñas, Blanca Suárez and Paz Vega. Even Antonio Banderas and Penélope Cruz agreed to make cameo appearances in the film’s opening scene. Shot on a soundstage, Almodóvar took great pleasure in the campy tone by incorporating a dance number and oddball characters like Dueñas’ virginal psychic. Forgoing the usual appearance at the Cannes Film Festival, Almodóvar premiered the film in Spain in March of 2013. It had its international release during the summer of that year. While I’m So Excited! got a mixed reviews from critics, the film did respectably well at the international box office. Not that Almodóvar cared much about the film’s reception, he clearly made the film to have some fun. Never forgetting his Spanish roots, Pedro Almodóvar has risen to international acclaim without ever compromising his vision. He has influenced the careers of filmmakers such as Wes Anderson, Todd Haynes, Sofia Coppola, François Ozon, and Quentin Tarantino to name a few. Regardless of the types of films he makes, Almodóvar’s works speak to a wide and diverse audience. Building a library of films that spans 35 years and numerous genres, Pedro Almodóvar has shown that he is undoubtedly one of cinema’s greatest treasures. Part 1 of our Auteurs feature on Pedro Almodóvar can be found here.